A major historical event took place on November 29 when the UN General Assembly overwhelmingly adopted a resolution to elevate Palestine from an ‘entity’ to the status of a non- member observer state, which is basically the same classification as that of The Vatican. The lopsided vote was 138-9 with 41 abstentions. The US and Canada were the only major countries to vote Nay. The majority of the 138 countries in the affirmative were not anti-Israel per se, but appeared to be frustrated with the lack of movement in the peace discussions, which have been comatose for well over two years. The US and Israel roundly condemned the UN vote as setting the peace process back. A wide array of Mideast political observers encouraged the European Union, and even the US and Israel, to support the Palestinian bid, rather than fighting a rear-guard action that was inevitably going to fail, given the international frustration over the nonproductive status quo of further divisions between the parties and a dead peace process. The argument was that the Israelis would deal from a stronger hand of cooperation, rather than confrontation, which would resuscitate a beleaguered Palestinian Authority (PA) President Mahmoud Abbas and help weaken Hamas’s message. Many US media personalities, political pundits and even PA representatives have incorrectly labeled the United Nations vote as ‘simply symbolic.’ It is partially symbolic but more so extremely substantive. What does it mean to have this elevated status? First, the UN General Assembly basically gave prestige to and created the State of Palestine which has certain rights, responsibilities and limitations. The Palestinian Authority still cannot introduce resolutions in the UN General Assembly, but it can get another member state to do so on its behalf. Undoubtedly, it will not be a major challenge to get other states to support PA issues. It cannot run for other elected positions, such as a member of the Security Council. Second, the Palestinians do have a right to participate in various UN agencies, although there is no automatic assurance of membership. The PA, if accepted, will have a forum through the myriad of UN agencies to raise issues of importance. This is the truly significant part of being a non-member state observer. For example, if the PA joined the International Criminal Court, it could level the charge that Israel is violating international law by building settlements or engaging in war crimes. The flip side of the argument is that the Palestinians would be liable for assaults on Israeli civilians. Taken a step further, the UN System could be of great importance to amplify Palestinian grievances. For example, international law allows that individual countries control their airspace and territorial waters. At present, the Israelis control the airspace over the West Bank and Gaza Strip, as well as the Mediterranean Sea off of Gaza. The UN International Civil Aviation Organization (ICAO) and the International Maritime Organization could potentially raise the pressure on the Israelis. A counterproductive US law requires that any UN entity that allows Palestinian involvement would be defunded. Recently, UNESCO, the UN Educational, Scientific and Cultural Organization, accepted the PA as a member. US funding of nearly $80 million was discontinued. The defunding of UNESCO has hurt both the agency and the US, especially since some vital US programs being conducted in Iraq and Afghanistan may be dropped. Additionally, the US will not be a viable player in the future if it does not pay its fair share of the budget. What would happen if the various UN agencies allowed the PA to participate? Does anyone actually believe that, given that Americans are 40% of the international flying public, US airlines, e.g. Delta or US Airways, could actually do well and prosper without participating in the UN ICAO? Will US seagoing shipping companies want to drop out of the IMO? How badly would US health policies be affected if it bowed out of the UN World Health Organization, a front line agency combating a wide range of diseases from polio to Avian Bird Flu? After the bombshell vote, the backlash was swift and severe. Israel, who has an agreement with the Palestinian Authority (PA) to collect taxes and customs duties and income taxes and social security donations from Palestinians working in Israel, withheld about $118 million it was to send to the Palestinian government. These withheld funds, which would be used to pay police and other public workers, could spark serious social upheaval in a poverty stricken area. Ironically, the Israeli military opposes this action because many of the funds go to the Palestinian security forces that assist in maintaining security in the West Bank. The PA is in dire financial straits with a $500 million financing gap and a $1.3 billion budget deficit. Israel also moved forward to develop 3,000 new settlement homes on Palestinian land in an area called E-1. The action, condemned by the US, the UN, and the international community as illegal, may pull the plug on any hope of an agreement. The E-1 borders would fracture contiguous lines for a future Palestinian state because it would cut off East Jerusalem from the West Bank, thus making the two-state approach impossible. 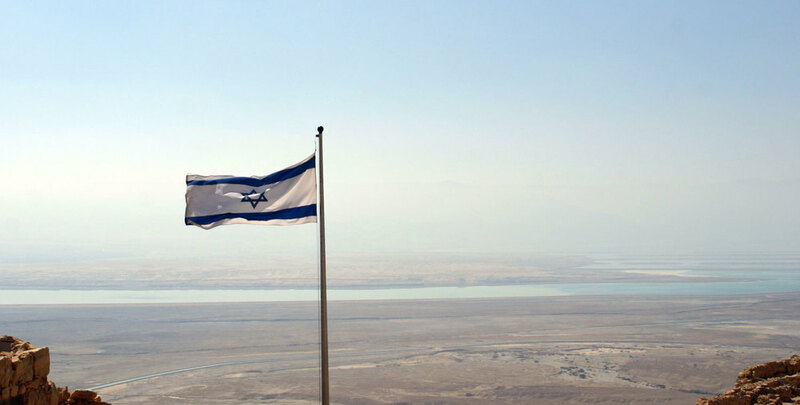 The Israeli settlement issue is one of the major obstacles to reaching a peace agreement. There are over 500,000 Israeli settlers living, in violation of international law, on the Palestinian side of the Green Line. It will be very difficult to get the settlers to leave voluntarily if, and when, a peace agreement is brokered. The US Congress also has threatened to withhold funds for the Palestinian Authority which, if social unrest spread, could do more to weaken the hand of Palestinian President Mahmoud Abbas and strengthen Hamas. A major loser would be Abbas, whereas, the winners would be the hard-liners or radicals. There are several options available for a peaceful resolution: future settlement construction must be completely halted; Israel and the Palestinians must negotiate a return to the 1967 borders, or some variation thereof; there must be a two-state solution, (although Israeli Benjamin Netanyahu appears to be moving away from this position; and Hamas, which was democratically elected in the Gaza Strip, and is viewed by the US and others as a terrorist organization, will have to be involved in the peace process. If key constituencies are excluded from the discussions, they could derail them through violence or other disruptive tactics. Interestingly, the November 29, 2012, date of the UN vote occurred exactly 65 years after the UN General Assembly adopted Resolution 181, which established a Jewish state beside an Arab state in the former British Mandated Territory of Palestine. History may be repeating itself in reverse with the Palestinians asserting a vote for the two-state solution. The famous US comedian Will Rogers once opined, ‘Even if you are on the right track, you’ll get run over if you just sit there.’ The Oslo Peace Accords were on the right track, but they just sat there, and the recent UN vote just ran over them. One obvious conclusion may be that if the parties do not get serious and realize they must both make major concessions, the next step, born from heightened frustration, will be a bloody Intifada, which few people want and which would weaken both parties. Time is running out.